Auto insurance is certainly an upsetting topic and so are the complex state rules. That’s why we have brought for you a comprehensive guide in order to better understand the minimum state car insurance according to the law in your state. This guides aims to provide you the basic knowledge about the insurance requirements you are obliged to fulfill according to your state law. In simple terms, state minimum car insurance requirements are the minimum level of insurance made mandatory for auto owners in order to legally drive in a particular state by the law of that state. Each state has its own minimum car insurance requirements. However, New Hampshire is the only state in the U.S. which doesn’t mandate auto insurance for its residents in order to legally drive there. But the state law there does require the car owners to be financially responsible in case of any mishap with the car. You can find the details of minimum state insurance requirements for each state on the state insurance commissioner’s website. However, for your ease we have included the complete list for all the 50 states right here in this article. You can scroll down to the last section of this article for the list or you can keep reading till below to find the section. There are four basic types of coverage which may be included in a state’s minimum car insurance requirements. However it may differ with your state’s requirements. Please check the list of your state to check what’s included and what’s not. Every state except New Hampshire requires a minimum amount of liability insurance to cover you against any liability such damage caused by you to the driver, passengers or the property, such as the car. 15 out of 20 states require a mandatory PIP for the auto drivers themselves. It is an extended protection for the insurers to cover medical expenses for the inured and even the travelling passengers even if the driver is at no-fault. In many cases, it may also cover lost-wages due to the accident. Some states also require the insurer to provide a death benefit as a result of the car accident. For example, A PIP in Florida provides a death benefit if $5000. It is also called as the “no-fault” because it covers the injured person regardless of who was at fault in the accident and also because it is a requirement in most no-fault states. PIP is available only in no-fault states and a few no-fault optional states. Similar to PIP, Medical payments coverage also covers medical expenses of the injured regardless of who was at the fault in the car accident. However, it’s different from PIP in the sense that it doesn’t grant additional benefits like lost wages or nay other work-related loss or even a death benefit. Although this coverage has a low limit but it may be helpful for people whose heath insurance don’t provide coverage for injuries in a car accident. Now, Uninsured/Underinsured Motorist Coverage protects you in case you get hit by an uninsured motorist. You could be insured as a responsible driver but not everyone is. In fact, 13 percent of drivers in the U.S. or you could say one in eight drivers, are uninsured according to a report by the Insurance Information Institute . And if you happen to be hit by such a driver, you could be exposed to financial risk stuck with expensive medical bills and other repair-related costs. Almost half of the states require a UM/UIM coverage and some states also require a UM/UIM property damage coverage just in case your car (or other property) gets damaged. In general, the minimum limits for UM/UIM is similar or identical to state liability insurance limits. 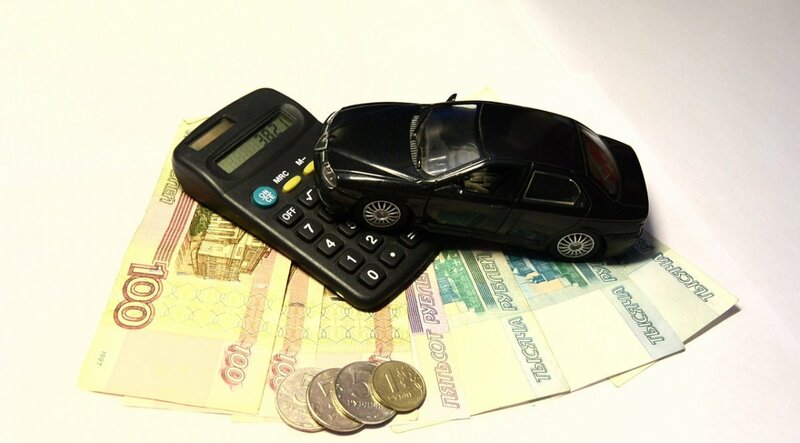 How to understand the numbers in Minimum State Car Insurance Requirements? The numbers in your policy are indicative of the limits in your policy. Note: The above figures are expressive in thousands. Kindly take note that in your insurance policy these numbers may also be expressed as $15,000/30,000/5,000. When it comes to your car you may either want to fully protect or you may be just obliged by law to protect it to a certain extent. This is where the difference between minimum Insurance and full coverage comes into play. Minimum Insurance is the minimum insurance coverage to be purchased according to the law of your state. It is a legal obligation as an auto owner and a mandatory condition to legally drive in your state. Most states have a state minimum of insurance for vehicles which at least covers medical and property damages if deemed at fault while driving. However, some states may require a personal injury protection or even uninsured/underinsured motorist coverage as even minimum requirement. On the other hand, full coverage insurance is beyond the minimum mandatory requirement by your state law. It is something which is optional and is generally purchased when you want more or full protection. Full coverage includes the minimum liability insurance along with optional collision coverage as well as a comprehensive coverage. The collision coverage provides the cost for damages in case your car meets an accident. There is a deductible with collision insurance and it is to be paid prior to any damage being paid for by the insurance company. On the other hand, comprehensive coverage provides protection from the damages/loss occurring due to weather, vandalism, broken glass or auto theft. You can also opt for roadside assistance, towing, car rentals, etc under the comprehensive coverage. It requires a separated deductible apart from the collision deductible. And this has also to be paid prior to any damage being paid for by the insurance company. How to choose between minimum coverage and full coverage? Whether to go for minimum state liability insurance or full coverage depends upon your needs and other car insurance related factors. Could you afford to pay off the debt as well as buy a similar car in case your car gets completely totaled? Are you driving an older car or a new car? If it’s an older with lesser value, you could consider dropping the full coverage. Do you completely depend on your car for commuting or public transit forms a large part of your daily commuting? If you depend on public transit for regular commute, you could ditch full coverage. Have you done the math for your collision coverage and deductible? If they don’t seem to offer much value, you could forgo it. Those were just a few questions to give you an idea of how to choose between minimum liability insurance and full insurance coverage. You would need a deeper research to decide which one is the best fit for you. Do all states in the U.S. require minimum state insurance? New Hampshire is one such state which doesn’t require minimum state insurance as a mandate for most of its drivers with clean records. However, it does require minimum state insurance for those with a history of vehicle-related crime. Drivers with a clean record can go without insurance by demonstrating that they have sufficient funds to pay the victim in case of an at-fault accident. Similarly, states like Arizona, New York, California and others do allow the driver to present a bond or certificate of cash deposit to the department of motor vehicles in place of minimum state insurance. The amount can range between $30,000 and $65,000 for different states according to DMV.ORG. Below is the list of all the 30 states which allow such an arrangement. Some states like Texas also offer the option of self-insurance. However, this is available only to individuals or companies that own many cars. For instance, Texas allows self-insurance to companies that own 25 or more vehicles. Some states like Virginia offer an uninsured motorist vehicle registration as an alternative approach. Drivers can pay $500 uninsured motorist fee to avoid the minimum state insurance requirement. But it is not a replacement to auto insurance and doesn’t provide any benefits that come with insurance. It is also of course not an option available to drivers with a vehicle-related crime history. This option just provides the drivers with the legal ability to drive across the state of Virginia without being penalized for having no insurance coverage. In Arizona, it is not compulsory to purchase auto insurance to legally drive in the state. However, if you choose not to purchase insurance, you must provide a $40,000 bond to the department of motor vehicles in order to prove your ability to fulfill your financial responsibility in case of an accident. New Hampshire doesn’t have a mandatory minimum car insurance requirement. But if the drive is at fault, the owner of the vehicle will still have to pay for any bodily injury or property damage. Following are the minimum requirements if you wish to purchase car insurance in New Hampshire. Virginia also doesn’t have a requirement for compulsory auto insurance. You could be able to drive legally by paying state’s uninsured motorist fee but it doesn’t come with nay insurance benefit. Following are the minimum requirements in Virginia if you decide to purchase auto insurance. Just like every state has its own minimum state insurance requirement, similarly every state also has its own rules on penalizing the driver if found driving without meeting those requirements. But remember one thing, driving without insurance or proof that you have fulfilled the required financial responsibility would bring you costly consequences. Your driver’s license may be suspended. Your Vehicle registration may be suspended. You could receive a traffic ticket for a no insurance violation. This will be an additional traffic ticket apart from the traffic ticket(s) you receive for the original reason you were pulled over. You need to meet SR-22 requirements. Some states might require this if you were at fault in an accident while driving without insurance; others may impose it simply for driving uninsured. Apart from the other requirements, you’ll need to pay reinstated amount on your license and registration. Additionally, you’ll have to also bear the traffic ticket fines. Your future insurance premiums may also be increased. Please note that these are just a few of the most common penalties for driving without current car insurance. Kindly check with your state’s DMV for specific details.